Henry VIII understands the importance of good marketing. He needs to project the image of being a powerful ruler to rival monarchs all over the world, but he also needs to communicate with his populace to keep them updated about what the CEO of the nation is up to. As a forward-thinking monarch, Henry has a list of innovations to his name: breaking with Rome, establishing a new Church, pioneering divorce, utilising the capabilities of the Internet... Yes, that’s right. Henry is moving all of his marketing work away from the old-fashioned outbound methods and into the exciting world of inbound marketing. "No more sending out royal communications with messengers on horseback"
No more relying on official scribes. Henry will be cutting out the middleman to talk directly to his adoring public. Don’t wait for news from the town herald. Check Henry’s latest Facebook status. Sick of googling himself only to find unflattering portraits and tired memes about cats dressed as Tudors, Henry has decided to take control of his online presence into his own hands in order to facilitate a more personal relationship with his subjects. So friend him on Facebook, stream his version of Greensleeves or send him a tweet. But remember that he doesn’t like trolls - he’s always searching for bargain beheading equipment on ebay! "The power and reach of content marketing"
Eligible bachelorettes are encouraged to create a profile on tudor-totty.com to be in with a chance of becoming the next Mrs Henry Tudor. And other early modern rulers should be advised that Henry is intending to do away with all international ambassadors to deal directly with foreign leaders on LinkedIn. Knowing the power and reach of content marketing, Henry will be creating and maintaining all of his profiles himself. "Productivity at Court has skyrocketed"
Henry has discovered that maximising his use of the Internet has changed his life and his business. Productivity at Court has skyrocketed and his name and brand are finding a new global reach. From ordering a hog-roast for a banquet on JustEat.co.uk to advertising his extensive property portfolio on Right Move, Henry has streamlined his personal and commercial activities. He has saved himself time as well as money and has extended his rule into new areas. If, like Henry, you want to reign supreme over the web, then as well as watching our video on Henry’s embrace of the internet, download our eGuide ‘How To Rule Online’. Endorsed by none other than His Royal Highness, it is packed with great advice about how to reach the best leads and how to engage with prospects through creating amazing content. Henry has realised that it is a much more powerful and efficient marketing strategy to bring the crowds to him through his engaging content, than to hound the populace with unwanted advertising. Don’t get stuck in a rut with medieval marketing techniques. The best monarchs know when it’s time to modernise. 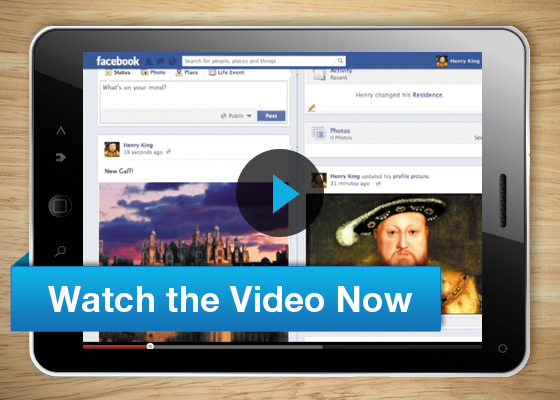 To kickstart YOUR reign in online marketing, download the right-royal How to Rule Online!